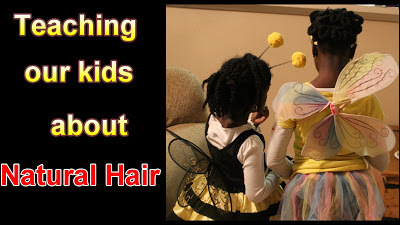 I hope this video helps all mother, fathers, caregivers to understand the importance of teaching a child about their hair. What steps are you taking to teach your child about their hair? Check out our store, click here. 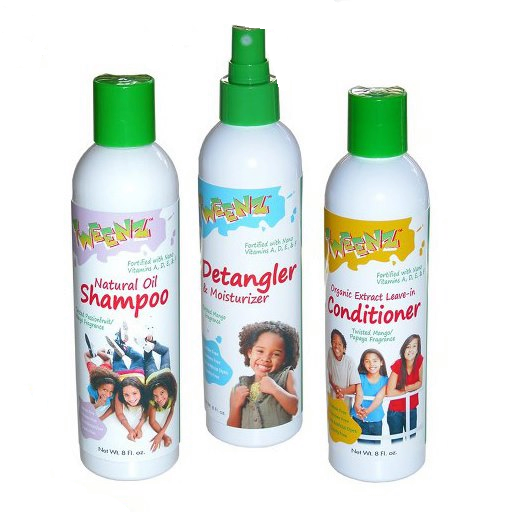 Products range from oils, shampoo, conditioners, deep conditioners, stylers, moisturizers, and even books that can help you and your children. 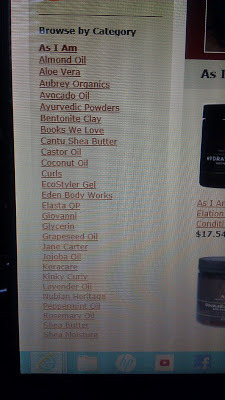 If there are products that you use regularly and is not in the store, add a comment below and I will be sure to stock up on these. 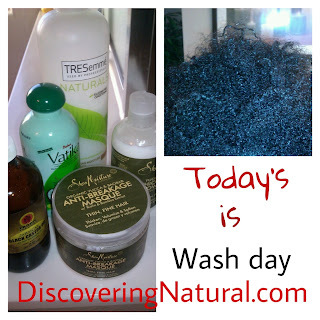 For a couple of weeks now, I have been researching natural hair cleansers and came across Bentonite Clay. Applying the product to my hair was a wonderful experience. The mixture did not feel like clay at all, instead it felt like a creamy product. Have you tried Bentonite Clay Hair Mask? Share your experience. Multiple Praises Time!!! Count your many blessings, name them one by one. I want to share my multiple praises with you, hoping that this would help uplift anyone that is going through some bad times. This morning, as we waited...and waited... and waited for Big Sis's bus to show up, it never came. After a while, I decided to take her to school after dropping off Lil Sis at her school. Now, Big Sis is a long distance from our house, and if morning traffic is bad, it could take a really long time. At first, I would have been quite upset that the bus didn't come, and could have made a big deal over that fact. But, I decided not to dwell on the negative and said to Big Sis, "There is always a reason for everything"
As we were driving to her school, the traffic was unexpectedly quite light. Thank God!. We were listening to our favorite station, KSBJ, and a lady requested for the morning song, which Big Sis has not heard in a long time. She loves that song. That made the ride to school even much more fun. We danced to the music and laughed, forgetting that we still had a long way to get to school and school starts at 8am. After the song was over, Big Sis said, "Thank you, mom, for driving me to school". As a mother, that made my day. We got to school 10 minutes before it started. I thank God for allowing me to work from home so that I can be available for times when school buses are late or don't show up. If I worked in the office, I would have had to look for someone to take my kids to school or I would have had to be late for work. I thank God for letting me not dwell on the sadness and let that impact my child's mood at school. On a normal morning, I would have just seen Big Sis off at 6am, then taken Lil Sis to school by 7am and head off to the gym, but this morning, I knew there was no way I could make it to the gym, so I called up my neighbors to see if they wanted to walk. Lo and behold, they had already left. So, I told her, I would "run" and meet her. Now, I always run on Monday mornings, usually at the gym on the treadmill. Due to the weather, I have not had the opportunity to run in a while. I was so thankful to God that I had the opportunity to both run to catch up to them and also walk with my friends. I want to encourage you today, if your day is starting off in a bad way, try to look for something good to dwell on. Turn that bad into good. You know, if there is darkness in a room, and someone bring in a little candle light, that will brighten up the whole room. Dwell on the Good not the Bad. Once a week, I do my wash routine of pre-poo ... co-wash... deep conditioning... styling. However, today, I just got the urge to wash my hair. To co-wash my hair. 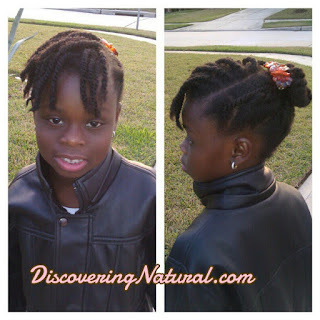 In my last hair growth video, I had said I wanted to protective style my hair often. Which I am still doing that. I only wear my hair out on Sunday for church. During the week, it is in two strand twists or cornrows. Last weekend, I did a flat twist out and this was the first time I ever flat twisted my natural hair. By Sunday evening, I re-flat twisted it and have been wearing my hair like that since. Covered, of course! Fast forward to this morning. I got back from the gym, starting my shower... I don't wear shower caps any more, so I just got the urge to wash my hair.... Opps... head under the running shower water, hair still in flat twists....Ahhh..... it felt so good. I grabbed the Zayd's Therapeutic Conditioner. Just what I need to relax me after my morning workout. I love the relaxing smell of this product. I layered it on my hair, and made sure it got into all the knicks and crannies of my flat twists. Then, rinsed it out after a couple of minutes. My hair felt really soft and my curls were popping!! I was like.. hmm... hello?...Hello... who are you? 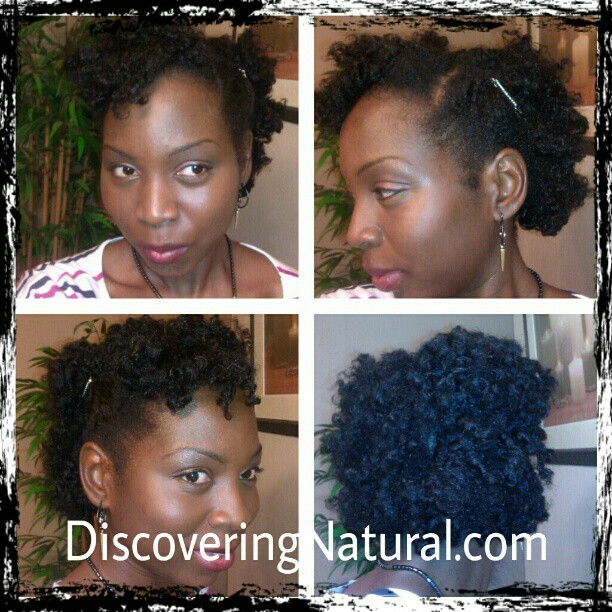 I moisturized with the Goin' Natural Rare Moisture Butter. I need to do a product review on this one. This stuff is GOOD! If not for the price... it would beat my Shea Moisture Curl Enhancing Smoothie. I undid one flat twist and redid it into two flat twists. 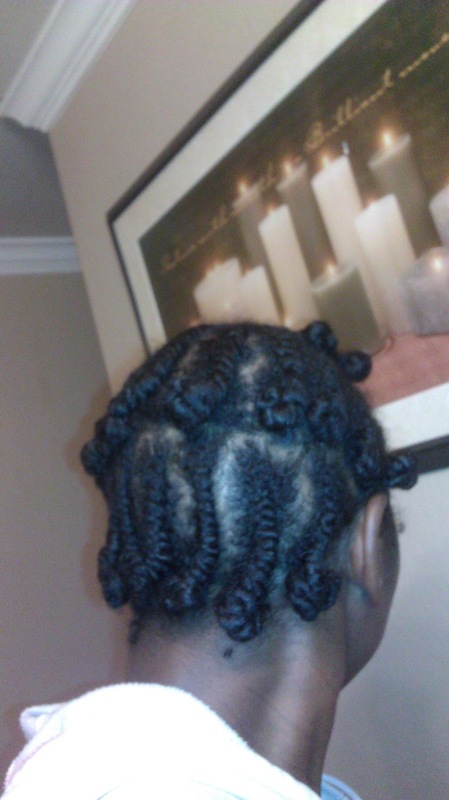 I think I am getting better at flat twisting my hair. Ladies, practice MAKES perfect!! Moral of this little story, follow your hair cues. If you feel your hair needs a refreshing wash, don't be afraid to add some water, give it a wash! Mid-week, you don't need to do the whole Pre-poo, deep conditioning step. Just co-wash and moisturize. Your hair will thank you for it. 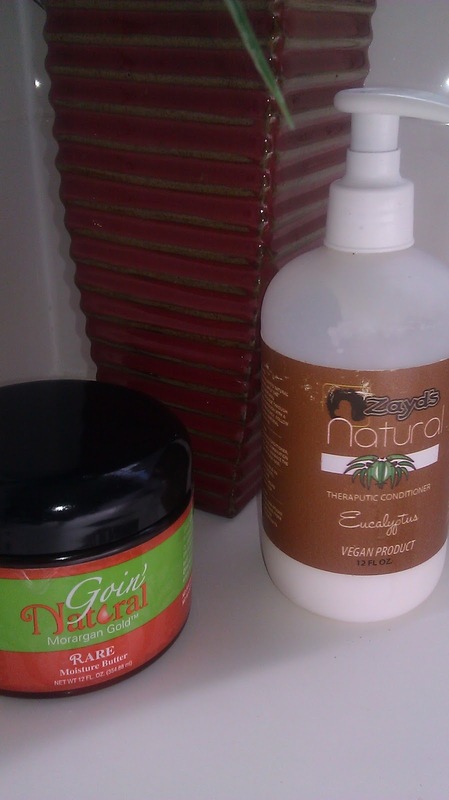 You have probably read somewhere that having a hair regimen is essential in maintaining your natural hair. However, you might not know how to create one. Below, I will provide some guidelines on how to create a hair regimen. It is vital to do a deep conditioning during the weekly maintenance. This will help to keep your hair soft and restore the moisture that was lost after washing your hair. This is especially vital if you use a sulfate shampoo. Post wash, remember to use a leave in conditioner, and moisturizer to help keep your hair nourished and soft. This is essential if your hair tends to be dry. You can also apply oils to your hair at this point. Remember to seal your ends with either a thick oil or butter. For the styling process, if you choose to use gels, be careful to check the ingredients for alcohol. Alcohol can dry up your hair and cause breakage. To reduce the crunchy factor of the gel, apply oil or moisturize prior to using the gel. Simple daily maintenance involves keeping your hair moisturized. If your hair lacks moisture, this can create breakage and cause you to not be able to retain length. Depending on your hair needs, you can choose to do this daily or every other day. At this point, you can seal your ends. 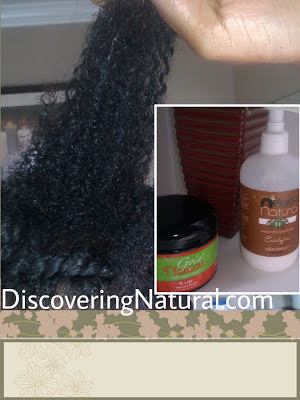 Moisturizing your hair can be done using two methods. The LOC method or the LCO method. Learn more about these methods by watching this video. There are some treatments that you can choose to do only on a monthly basis. An important one is to clarify your hair. Clarifying your hair helps remove any product build up from your hair. 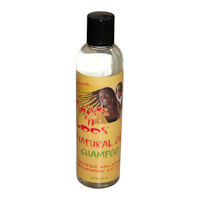 This also helps your products be able to penetrate better into your hair strands. 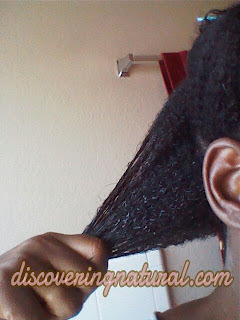 Click here to read more about clarifying your hair. Doing a protein treatment is very essential to reducing breakage and help restore damaged hair. Depending on how well your hair handles protein, you can choose to do a light treatment or a more heavy treatment. Determine if you need a protein treatment by doing a simple test shown in here. If your hair is protein-sensitive, you can skip this step. Caring for your hair does not end during the day. Having a night routine helps protect your hair when you sleep. Due to the delicate natural of our hair, what we lay our heads on or protect our hair with is very important in maintaining moisture within our hair. By incorporating the use of satin bonnets or scarves or sleeping on a satin pillowcase will help retain the moisture we have in our hair. Before going to bed, it is crucial to check the state of your hair. If it is extremely dry, you can choose to baggy it or simple perform the LOC or LCO method. Bagging your hair involves applying conditioner and oils and covering your hair with a plastic cap. With this method, you will surely wake up with soft and moisturized hair. Do you have a hair regimen? Share it below. You can also provide links to it. After my last wash day, I left my hair in twists for 2 days just to stretch it out. 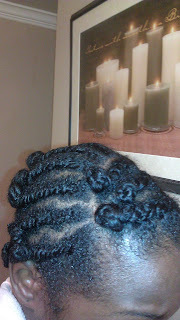 At first, I wanted to install mini twists, but with all the plans I had for the weekend, that wouldn't work. I decided to do a style that I had not done before on my natural hair. 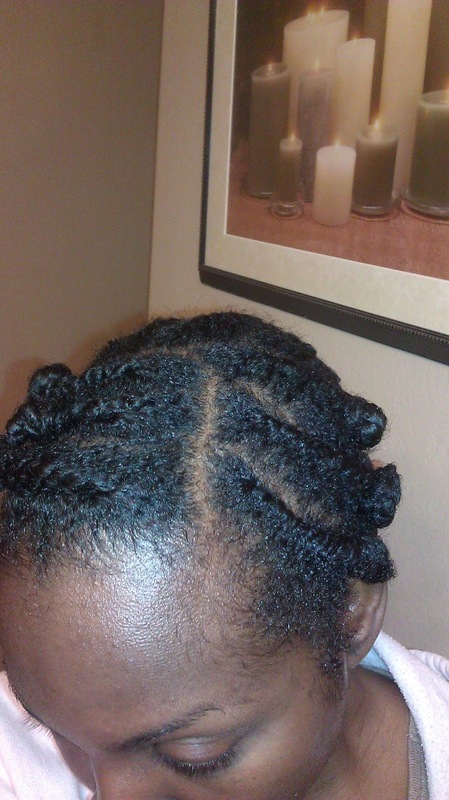 Flat Twist Out. I started by prepping my hair the night before by moisturizing it with Goin' Natural Morargan Rare Moisture Butter and doing Flat Twists. One thing that I noticed was that doing twists on my natural hair was more easier than doing it on my transitioning hair. 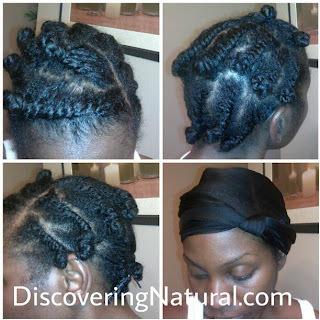 Here is the video showing how I did my flat twists and styled my flat twist out. Congrats! Winners, please send me your address so that I can get the products to you as soon as possible. Thanks! Yes, today is Wash Day. Usually, I look forward to washing my hair, pampering my hair, but today, something was a bit off. I was not sure maybe it was because I used something new. I started as usual, the night before pre-pooing with a mixture of Vatika Coconut oil and Jamaican Black Castor Oil. 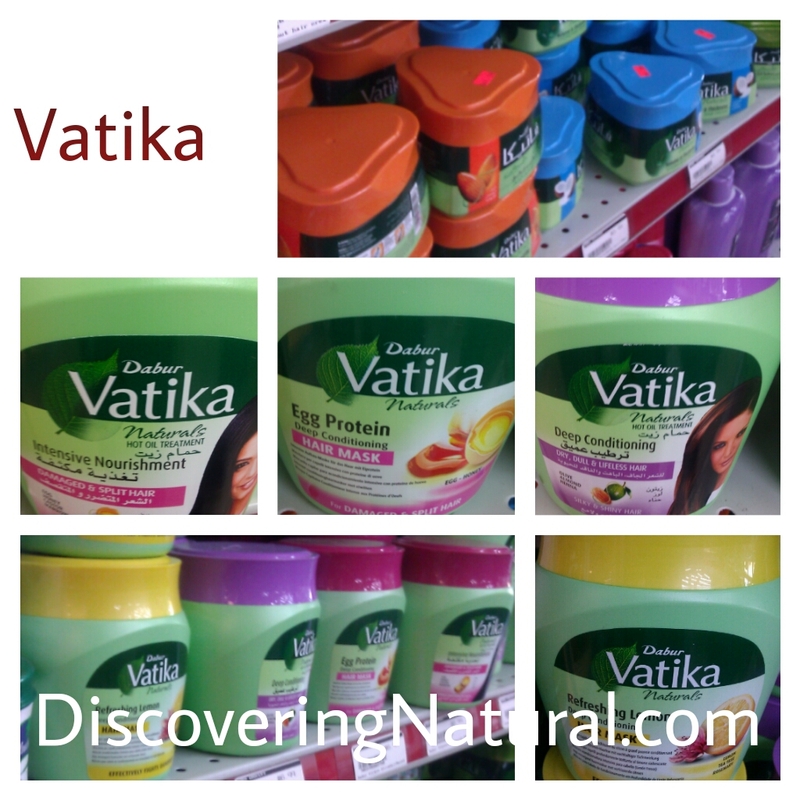 Yesterday, I went to my local Indian store to buy some grapeseed oil, and saw that they had a new collection of Vatika oil products. I was very excited. As I oohed and ahhed over the new pretty products, I read the ingredients on each product. Mineral oil...mineral oil...MINERAL OIL. Oh, mineral oil, why! why! As you know, I don't use mineral oil. I did try to use a product last week that had mineral oil in it and my hair HATED it. It was like, "Girl! What are you doing to me?!". From now on, I am staying clear of Mr. Mineral Oil. I woke up this morning to very soft hair, which I loved. Then I washed with my trusted Tresemme Naturals Conditioner, and decided instead of doing a deep treatment with my Nubian Heritage, I would use Shea Moisture Anti Breakage Masque. It was ...err... okay.. and then instead of using my Giovanni Leave In, I would use Shea Moisture Thickening Growth Milk. I bought this in the BOGO on going sale at Target and do my LCO method to moisturize my hair. My hair felt dry even after application. Not sure why. I know with Shea Moisture Curl and Style it worked great. I will give this product another try. 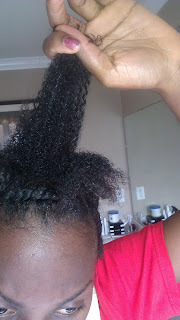 I am also using this technique from NaturalMe4C to super stretch my twists. I will do a video on the results in the near future. 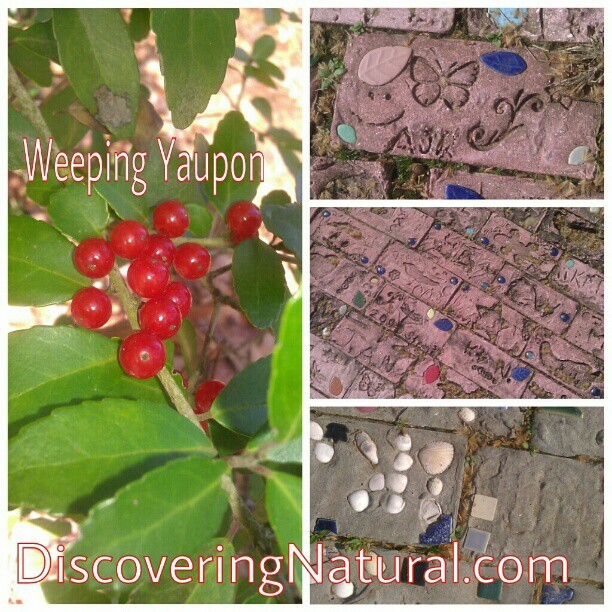 Make sure to subscribe to my YouTube channel (DiscoveringNatural). This month went really fast! Wow!. In this past month, I experimented more with my hair being out more. I find that when I do it, my hair knots up badly. In the next two months, I plan on wearing more protective styles. Another thing I learnt was that my hair prefers the LCO method than the LOC method. With this method, I only have to moisturize my hair about 2-3 times instead of daily. This is really cool!! Now, let's get to the good part. I decided to do a growth ...length check. This will be my really official starting point since I measure, off camera, the length of my hair. 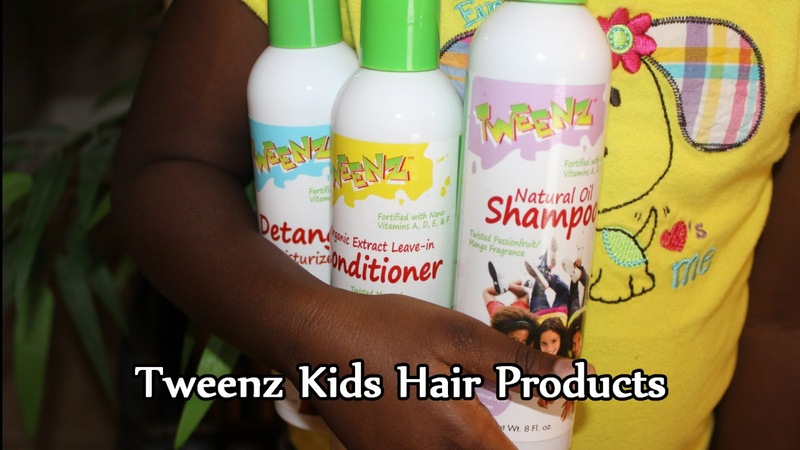 Tweenz is sponsoring a GiveAway hosted by DiscoveringNatural. 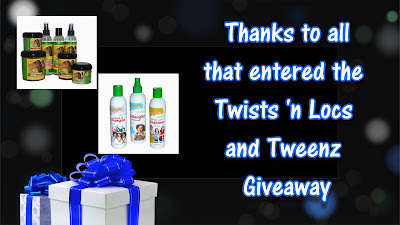 One lucky winner will get to choose all 3 products shown in the Product Reviews below. Make sure you watch the review. This Giveaway ends next Saturday January 19th at midnight. Use the Rafflecopter below to enter into the drawing. Twists 'n Locs is sponsoring a GiveAway hosted by DiscoveringNatural. 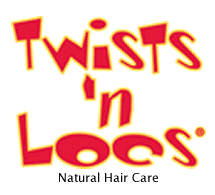 One lucky winner will get to choose 2 products from the Twists 'n Locs product line website. Go to Twists N' Locs website, choose 2 products. Enter a comment below with your Facebook name and what 2 products you want. I've been doing Product Review all day... just one more and then I'm done. Yeah!! If you follow me on Instagram, you would know that I bought the Turbie Twist Hair Towel. I tried the Tweenz Kids Hair Care product on Lil Sis. I first shampooed her hair using the Natural Oil Shampoo. This left her hair feeling very soft. I loved the way the shampoo detangled her hair and made it feel soft. The shampoo is sulfate-free, paraben free, and has no artificial dyes. In addition, it is cruelty free. It has a passion fruit and mango fragrance. Lil Sis thought it smelt sweet like honey. We both loved the smell. I used the Organic Extract Leave-In Conditioner on her hair, however, her hair didn't like it so much. It felt a bit hard to the touch and her hair lacked the softness that the shampoo put. She did like the smell of the product. We loved the smell. It had a mango/papaya fragrance. 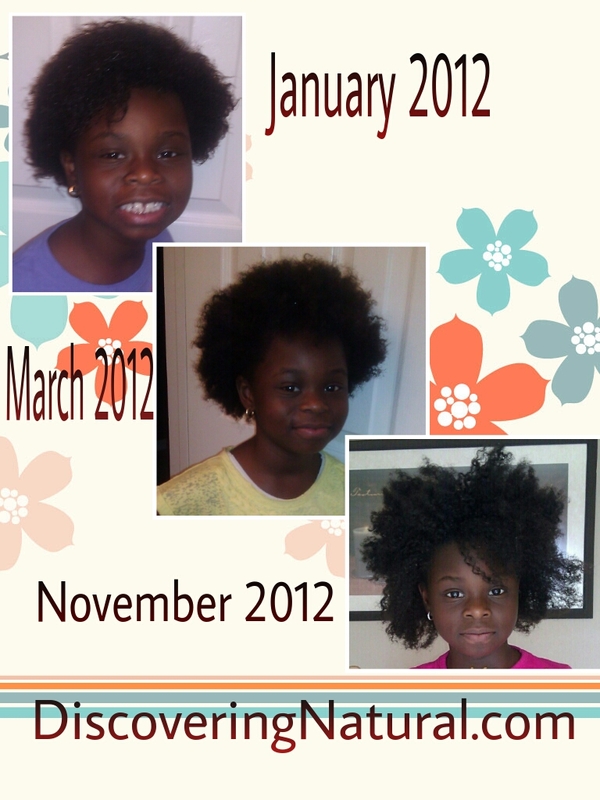 The Detangler & Moisturizer also made her hair feel hard. I believe the reason for this is because of the protein in the product. This product had a mango fragrance. Water, Cyclopentasiloxane, Glyverin, Paraffinum Liquidum, PEG-75, Lanolin, Dimethicone, Octyldodecyl Ricinoloeate, Acrylate/Acrylamide Copolymer, Polysorbate 85, Hydrolyzed Collagen, Hydrolyzed Keratin, Olive Oil, Sage, Rosemary, Tetrasodium EDTA, DMDM Hydantoin, Vitamin A, D, E, F, Fragrance. Water, Silicone Emulsion, Glyverin, Stearamidopropyl Dimethylamine Lactate, Hydrolyzed Animal Protein, Safflower Oil, Methylisothiazolinone, Vitamin A, D, E, F, Fragrance. You can also get connected with Tweenz on their facebook page. Be sure to like them and follow them on Twitter. Water (aqua), Stearlakonium Chloride, Cyclopentasiloxane, Minera Oil, Polyquartenium-37, PPG-1 Trideceth-6, Cetromonium chloride, Dexepenthenol, Allantoin, Keratin Protein, Sage Extract, Olive Oil, Hydrolyzed Collagen, Vitamin E, Rosemary Extract, Aloe Vera Extract, Shea Butter, DM-DM Hydantoin, Methyl Paraben, Tocopherol Acetate, Nano Multivitamin A, D, E, & F, Fragrance. Recommended for daily treatment on dry hair. Pure distilled water(aqua), Sodium Lauryl Sulfate, Aloe Vera (AloeBarbadersis). Lauramide DEA, Vitamin E (Tocopherol), Citric Acid, Silk Protein, Hydrolyzed Keratin, Polyquaternium 10, Sofium Chloride, Natural Herbs, Rosemary (rosmarinus Officinalis), Sage (Salvia Officinalis), Quaternium 15, Coconut Oil, Amidopropyl Beteine, Methylpraben, Poplyparaben, Nono multivitamins A, D, E, F, Fragrance. When Big Sis was 4 years old, I did not know how to properly care for her coarse thick hair. 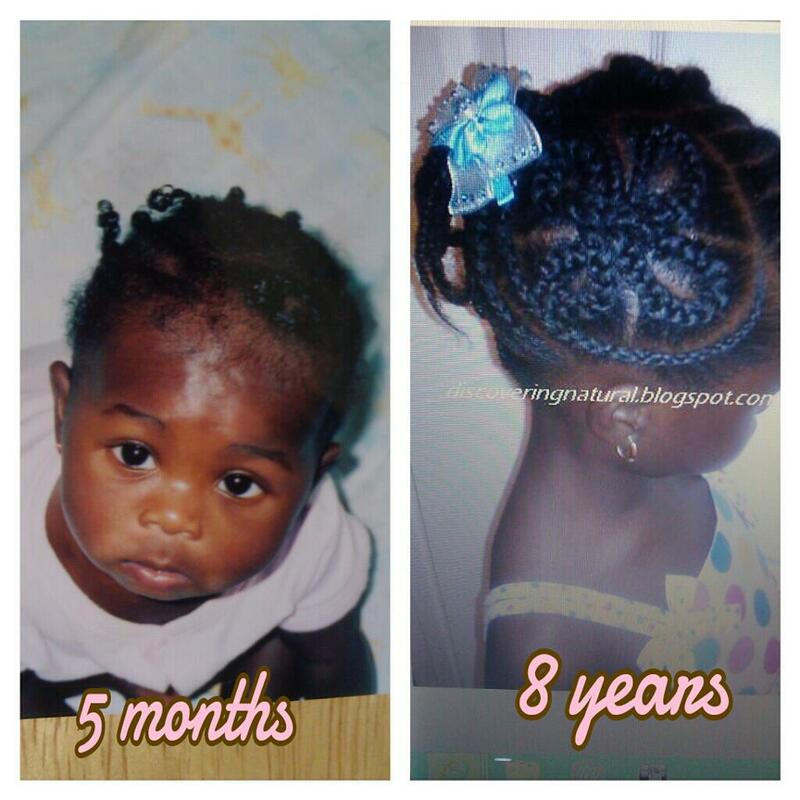 I had learnt how to cornrow her hair when she was a couple of months old. However, during each styling session, my child would cry so much, it broke my heart. She was my first and I didn't want her to cry. I didn't know what to do to pacify her. I was told that I could texturize her hair and this will solve my problem. Without any research, I went ahead and texturized my child's hair. Her hair was beautiful. She wore it in different styles. However, it started to break. It was limp and then the scalp issues started. She had bad flaking and eczema for over a year. We took her to the dermatologist, who prescribed some medication that would work and then stop working. 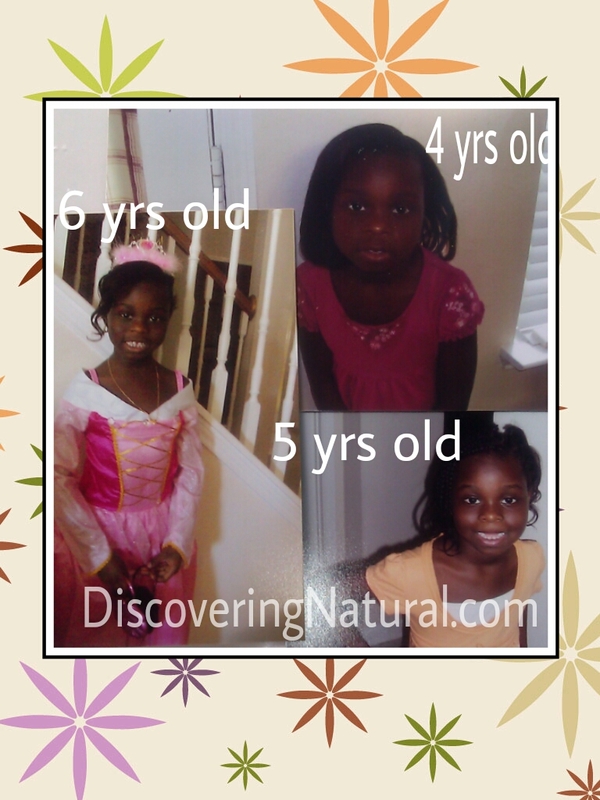 When she was 6 years old, the texturizer we were using briefly got discontinued. In my panic, I decided to relax her hair. Her hair problems escalated. The scaling became bleeding sores. It was very embarrassing for us and also her. Now, we started praying about it. 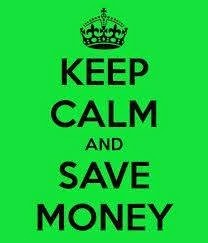 This should have been what we should have done at the beginning!! We tend to turn to God at the end of our problems instead of her the beginning. In a quiet gentle voice, I heard, STOP. So, we did. I started transitioning her hair. Without knowing what the term was. I was told by people that her hair will break, no.... no... you can't do that.. you have to continue perming. This time, I did not listen. I did my research. Every 2 weeks, I would wash her hair, and cornrow it. I did this for a year, and in January of 2012, I did her BC! Since then, her hair has grown a lot. We have not had any more scalp issues. This was the BEST decision we could have ever made for our child. We have also equipped her with the knowledge that her hair is BEAUTIFUL the way God made it and caring for it can be fun and not a pain... with proper understand. Click here to see different styles she wore during this past year. I decided to test the porosity of my hair so as to understand its product absorption capability. I do not have any problem with products getting absorbed into my hair cuticles, however, I have always been curious about this test. While transitioning, I do not believe I could get an accurate and non-biased test since my relaxed ends had damaged cuticles while my new growth were undamaged. Here is my 4-mins test. Enjoy! When it comes to protective styling, we always think about braids, weaves (sew-in), twists, and other hair manipulation processes. Wearing scarves can be great protective styles. It is all in the way you tie them. Here are some ways to create unique and stylish scarf/head wrap designs. How do you wear your scarves? Do you wear scarves? 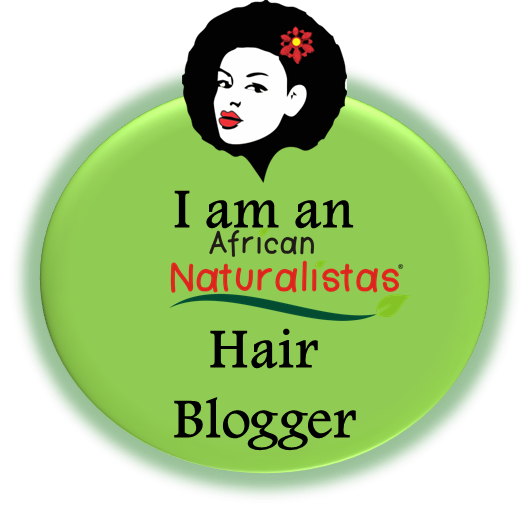 If you are following my Facebook page, you would be aware that I love sharing natural hair and transitioning hair tips that I find or read. 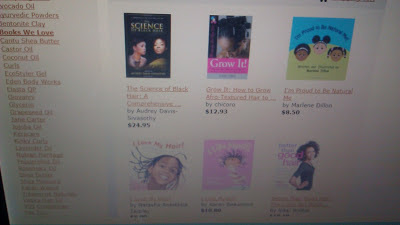 I also love to do research on anything concerning the care of hair. In case you missed it, or you are not on Facebook, here are all the tips I share in the year 2012. If you find that gels dry up your hair, try doing this: Apply a moisturizer prior to putting the gel. To help with length retention, focus on putting more moisturizer on your ends than the full length of your hair. If you have to moisturize your hair several times a day, your moisturizer might not be working for you. If you are experiencing breakage and have done everything; moisturizing, protein treatment, deep conditioning; check the water you use to wash or spritz your hair. If you have hard water, this can be the culprit. Use distilled water to wash your hair after you have used a chelating shampoo to remove the mineral deposit from your hair. When using Shea butter, always use either on damp hair, or on hair that has been moisturized with a water-based moisturizer. Since Shea butter is a sealant, and not a moisturizer, when you use it on damp hair, water acts as the moisturizer and the Shea butter seals in the moisture that water puts in. If you apply shea butter on dry hair, it will not seal in any moisture and it will prevent moisture from getting in. Make sure the grooved side of the bobby pin is facing down, against the skin. The ribbing is designed to grip hair and lock it in place, and you will capture more hair with the pin in that position. 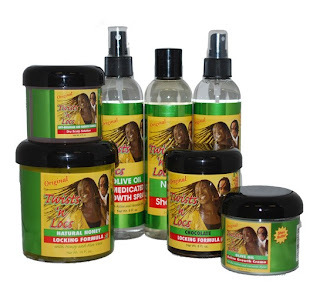 When you moisturize your hair prior to stretching or manipulating it, you reduce the chances if it breaking. In colder weather, avoid products that have glycerin high on the ingredients list. Glycerin draws moisture from the air to the hair on humid days, but when the air is cool and dry, glycerin draws moisture from the hair, thereby drying up your hair. V05 conditioner mixed with Extra Virgin Olive Oil and Water makes a great detangler. Doing hot oil treatments at least once a month will help the health of your hair. Rinse out your conditioner using cool water. This will help close the scales in your hair cuticle and lock in the moisturizing agents that are in the conditioner. Pour 1 cup of cold Aloe Vera Juice on hair as final rinse, great sealant and shine. I tried the LCO method on Big Sis yesterday... hmmm.. Her hair was dry dry! From my experience so far, I believe some people can do the LCO method and their hair can stay moisturized for a long period. Whereas, some other people need the LOC method to get that moisturizing factor. I remoisturized her hair with the LOC method this morning using Water - Oil mix - and SheaMoisture Curl Enhancing smoothie.. it was instantly soft. I will reassess her hair at the end of the day. The lesson I learnt from this experience is that everyhead is different. You have to do what is best for your hair. It is fun to experiment but once you see a problem, instead of continuing to use the same steps that do not work for you, revise it. Here is the video tutorial on how I moisturize my hair using the LCO method. It can be quite overwhelming when it comes to choosing the right conditioners for your hair. It is not as easy as just going to the hair aisle and grabbing the first product that is labeled "Conditioner". You really need to know the purpose of the conditioner and the benefits you want from it for your hair. Conditioners are generally categorized as Leave-In Conditioners, Rinse Out Conditioners, and Deep Conditioners. However, sometimes, there can be a fine line between whether to leave in a "rinse out" conditioner or not. 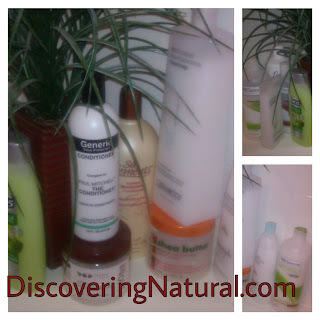 These conditioners are very vital to the hair. It is advisable for more textured hair, to do a weekly deep conditioning. These conditioners can be used with heat and provide great moisturizing properties. They can help to strengthen the hair. When it comes to choosing deep conditioners, look for those conditioners with thicker consistencies and make sure the Directions on the product states to leave in for longer than a mere 3-5 minutes. Also, if you are protein-sensitive, look for conditioners that do not contain proteins. 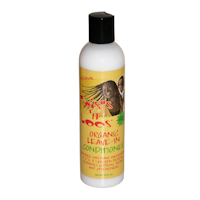 Leave-In Conditioners generally come in liquid or creamy consistency. Which should you choose? If your hair has a fine texture, then choose the liquid conditioner. For thick and coarser hair, a creamier leave-in will work better. Either way, make sure that the conditioner is water-based. (water is the first ingredient) If you keep your hair in braids or sewn-in, you can use the spray leave-in to refresh your hair. Depending on what your hair needs are, go for the type of leave-in that will help your hair. You can opt for protein-based ones if you need more strengthening. Use the moisture-based leave-in for dry hair. Leave-In conditioners can be used daily. These conditioners usually always comes in creamy form. You can use them for co-washing your hair. If you read the Directions, these would usually say leave on for 3-5 minutes. 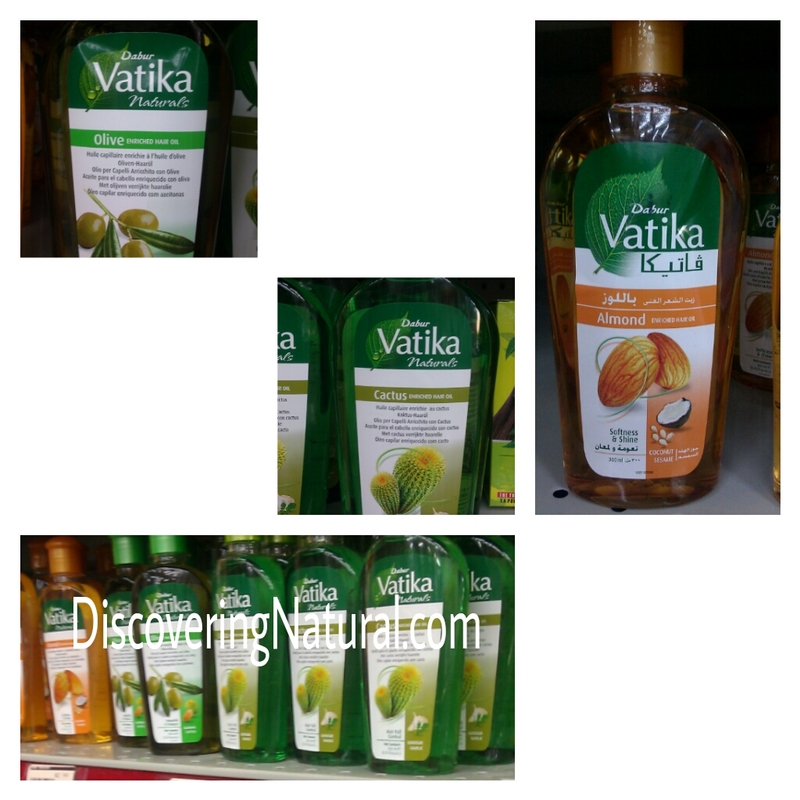 These conditioners help to nourish the hair strands during the wash process. There are some of these conditioners that are lightweight and not thick creamy ones. For example, VO5 conditioners are lightweight/thin rinse-out conditioners. Also known as instant conditioners. While Tresemme Naturals are thicker creamier rinse-out conditioners. Is it OK to leave Rinse-Out Conditioners in your hair? 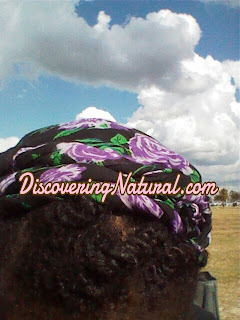 A lot of naturals, tend to leave rinse-out conditioners in their hair, usually when doing a Wash N' Go. I always questioned this process until I did further research. It is OK to leave a small amount of conditioner in your hair. Doing so, can help reduce frizz and reduce dryness. It also help brings out the curls in the hair and gives the hair an appearance of sleekness. A word of caution though, you might experience some scalp itchiness if you leave in heavier conditioners. Also, if you have fine textured hair, these conditioners can weigh down the hair. Lastly, if the directions on the conditioner you buy does not indicate how long to leave a conditioner in your hair before rinsing it out, it is best to just leave it in for ten to fifteen minutes or until your hair feels soft. 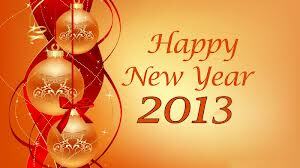 Happy New Year... Winner of Giveaway!! What a wonderful year 2012 has been. I have made lots of friends and learnt a lot from you all.